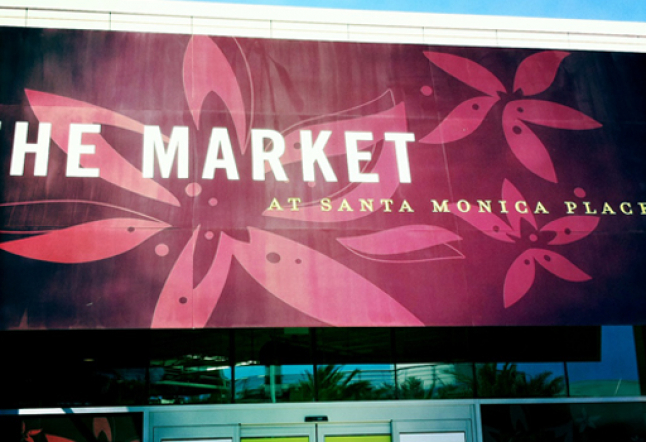 New York City has The Chelsea Market, San Francisco has their Fish Market, and now Santa Monica has The Market at Santa Monica Place. 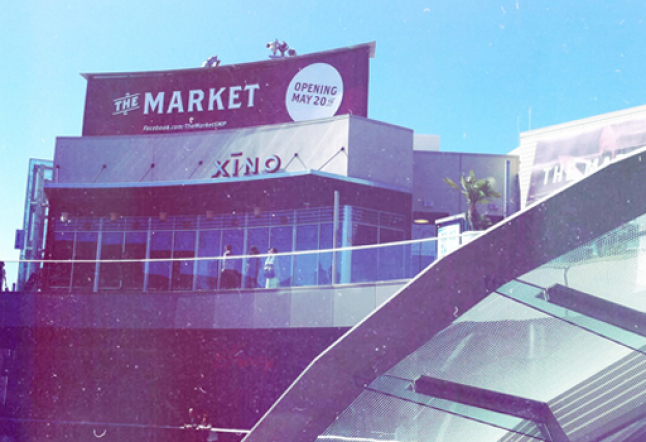 On the third level of the newly remodeled, and goliath, Santa Monica Place mall is The Market, a cornucopia of organic, artisanal, and gourmet food and gifts. All the purveyors at The Market are independently owned businesses, and the range of vendors provides an authentic and eclectic taste of LA at large. Vendors include: Westside coffee house favorite Groundworks, to Mar Vista’s beloved gourmet eatery The Curious Palate, and West Hollywood retro-chic wine and gift ship Venokado. 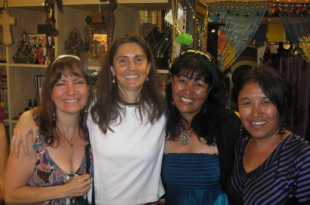 In addition to shopping, several vendors at The Market offer classes and activities to the adventurous consumer. The Gourmandise School of Sweets and Savories offers 3 and 4 hour classes on French cooking and pastry making, in addition to cookbook signings and tasting events. Redondo Beach based flower shop Magic Blooms has a new location at the market, and offers unique floral arrangement classes taught by celebrity florist Jenny Barker. With so much local personality The Market offers a shopping and dinning experience that distinguishes the mall from being another generic meeting place of corporations. Don’t miss Beachy Cream, an organic ice-cream sandwich vendor, long loved by Malibu residents. You may not believe biting into an ice cream sandwich can be a spiritual experience, but owners Ann Ryan and Debbie Kimbie deliver a an organic treat whose combination of chewy, creamy, summery goodness may drive someone to channel Meg Ryan in the restaurant scene from When Harry Met Sally. Orgasmic.